Hawkins Group of Companies are very excited to announce our new hi-tech office facility located directly opposite our UK headquarters on the Thorpe way industrial estate in Banbury. 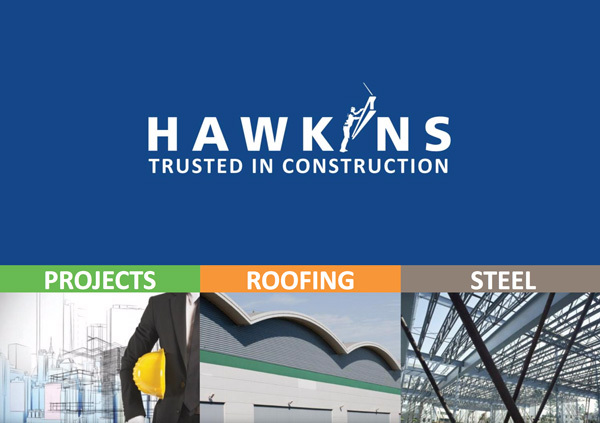 Due to continued growth within the construction industry our need for additional office space has become a priority to ensure we can fulfill our forecasted growth for 2019 and onwards, this has been achieved by creating a new 5500 square foot high tech office facility which consolidates both Hawkins Roofing Ltd and Hawkins Projects Limited. The building was procured in September 2018 and has completely undergone a full refurbishment with the latest green technologies, complete with a modern and fresh interior fit out, all completed to a high standard by our Projects company. It is an exciting development for Hawkins Group and clearly demonstrates the on-going commitment to our customers’ needs and requirements. The last five years have seen extensive investment in resource both in terms of employee headcount, which has increased by 40% and IT infrastructure to ensure we are fully equipped to facilitate continued growth and development within the construction industry. These new offices will allow our business to achieve the next steps in our business plan which will see Hawkins Group of Companies turnover increase by approximately 38% this year with a forecasted turnover in excess of £25m.